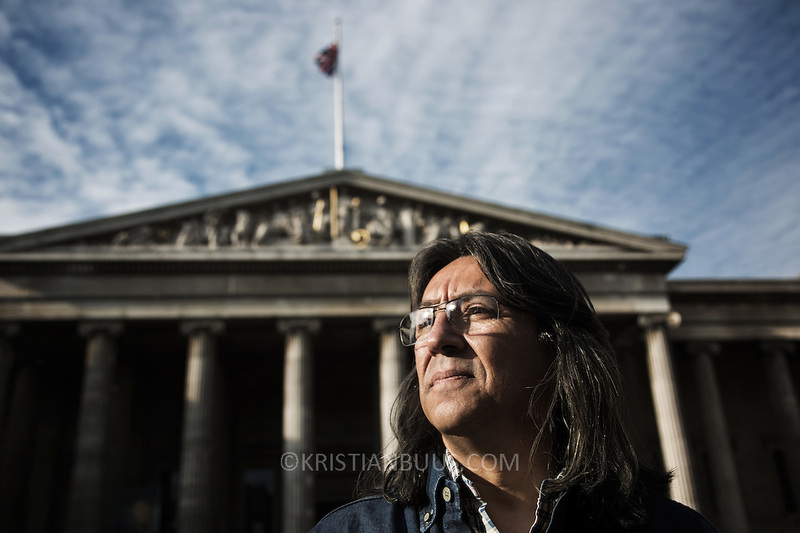 Gilberto Torres, photographed outside the British Museum. Gilberto Torres, a unionist from Colombia , is taking BP to court over his kidnap and torture in Colombia in 2002 when he was a union representative. BP-or-not-BP at the British Museum. Truth translator and Gilberto Torres.